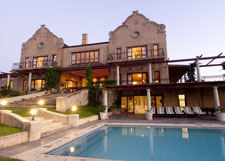 South Africa offers many opportunities for outstanding, extremely well-priced upscale wining and dining. 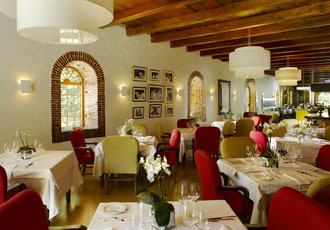 In fact, measured against numerous upper echelon dining experiences in the gastronomic meccas of France, Italy and the United States, meals at South Africa’s top-tier restaurants were a phenomenal bargain. 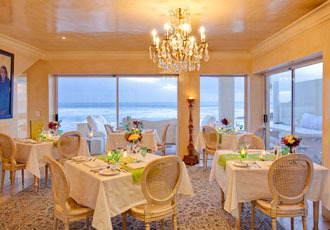 The following is provided as a brief guide to the best upscale dining opportunities South Africa has to offer. 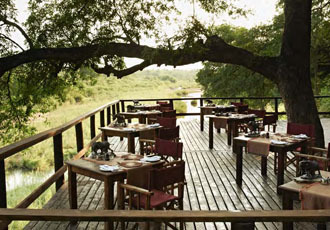 Restaurants are discussed by location starting in the north, in Kruger National Park, and concluding in Cape Town. All prices are in US Dollars. 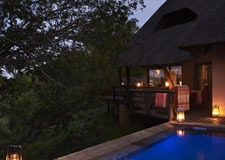 While the twice-daily guided game drives providing up-close observation of animals in the wild are the main draw here, this facility has from its inception touted its spacious accommodations and superior food and wine offerings as part of the pampering. And, during a three-day stay we found that the excellent wine choices and generally above average fare (both provided on an all-inclusive price basis) definitely added to the overall experience. In fact, in addition to our sightings of the lions, tigers, elephants, hippos and buffalo in their natural habitat, the private tasting of Syrah-based wines conducted by sommelier Francois Rautenbach was one of our most memorable experiences at the lodge. Breakfast and lunches were a combination of buffet and à la carte ordering, highlighting local produce. Dinners ranged from an outdoor barbecue buffet, offering a variety of salads, local vegetables and grilled game (which we found severely overcooked), to a luxurious private dining experience in the lodge’s library, with choices running the gamut from a zesty dish of tender calamari Asian stir fry with coriander and a sweet chili sauce to a bursting-with-flavor char-grilled springbok loin with a cinnamon espresso glaze. A juicy sesame-crusted salmon was doused with a soy buerre blanc, while a decadent malva pudding came with amarula ice cream. As to the wine choices here, guests can chose to accompany meals with unlimited quantities of whatever they want from a wide selection of many of the top South African brands, like elegant chardonnays from Hamilton Russell, complex cabernet sauvignons from Jordan and syrahs from Boekenhoutskloof, which even in their youth show layer upon layer of well integrated fruit, spice and herbs. 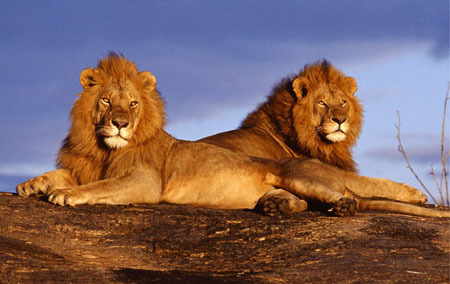 The price, including lodging, game drives, wine and food, starts at $1,250 per person per night. One of the many unexpectedly pleasant dining experiences on our trip, several cuts above average for the genre, was dinner at this restaurant located on the ground floor of an airport hotel, where we stayed one night en route from Zambia to the Western Cape. The space housing the restaurant is rather cavernous, featuring an eye-catching sixty-foot long mobile of porcupine quills surrounded by tall round columns and walls with deep square recesses containing huge earthenware pots. And, as to be expected, patrons ranged from suited businesspeople to casually dressed tourists. Some of the items sampled from a frequently changing seasonal menu included: a picturesque salad of fresh local greens, edible flowers, sun-dried tomatoes and marinated mushrooms drizzled with a light vinaigrette; a salad of cooked-to-a-turn prawns with ripe, juicy tomatoes and a flavorful tomato confit; thick slabs of dewy kingclip (a very popular mild-flavored fish) from Cape Town, served over creamy spinach and fluffy mashed potatoes; baked rack of Karoo lamb served with minted vegetables. And for dessert, try the chocolate torte, served with chocolate ice cream and a poached glazed pear. Of note, service was prompt and professional, with menu items carefully explained on request. Also, a wide selection of sensibly priced South African wines, many by the glass, is available. Expect dinner for two, including wine, tax and tip to cost about $100 to $120. Open daily for breakfast, lunch and dinner. 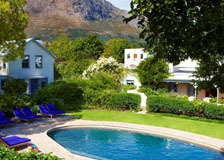 With a combination of exquisite cuisine, right-on wine pairings of South African wines, luxurious setting and flawless, professional service, the fixed price Chef’s Table dinner prepared by Chef Leon Coetzee and his wife, as sous-chef, was the most outstanding meal of our trip. The setting: just the two of us in a spacious, well-appointed library at a table set with a lace cloth, fine china, silver and top-notch stemware, and adorned with a magnificent bouquet of freshly cut flowers. The food and wine: ethereal lobster cappuccino with Pierre Jordan Brut sparkling wine; flavorful spinach ravioli topped with a buoyant mustard foam mated with a dry, lemony single vineyard chardonnay from Waterford Estate; beef tartare infused with Asian spices perfectly paired with the deep plum flavors of the Chocolate Block blend of syrah, grenache, cabernet sauvignon, cinsault and viognier from Boekenhoutskloof; pan-seared loin of lamb drizzled with an earthy foie gras and truffle jus accompanied by a complex Haute Babrer pinot noir; delicate lemon-poached salmon, accompanied by organic vegetables and topped with an addictive white chocolate sauce matched with a crisp Waterford sauvignon blanc; a rich, vanilla crème brûlée served with a honeyed Delheim Edelspatz Late Harvest riesling; and a South African cheese board with sherry. The service: Well spaced courses with explanation of each course by the waiter or the chef. The price: Amazingly only $205 for two including, wine, tax and tip. 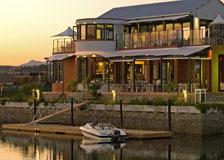 Named for the warm, dry breeze that originates in the Sahara and sweeps across the Mediterranean Sea, this casual restaurant is situated on the wharf of the Thesen Harbour Town development. 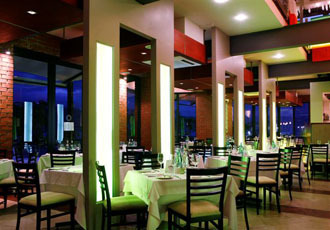 Both outdoor and indoor seating are available, with a mesmerizing view of the sunset. Moreover, featuring a wide range of expertly prepared dishes, this is not your typical waterfront view-deep fried fish-and-chips spot. For starters, a prawn and mango salad had well integrated flavors of ripe fruit and briny sea, the seared calamari pristinely fresh and cooked to a perfect, silky-smooth consistency; and the heady South-African specialty, peri-peri chicken livers that showed over-the-top intensely rich and piquant flavors. Two main courses sampled were the combination of cooked-to-a-turn calamari and local line-caught hake with a lemon-butter sauce, and Queen Prawns bathed in peri-peri sauce. Both went well with a soft, fruity, 2011 Protea shiraz. And a dessert of Macadamia nut brownie served with rich, vanilla ice cream made a perfect finish. Expect dinner for two to cost $60-$65, including wine, tax and tip. Open daily for lunch and dinner. 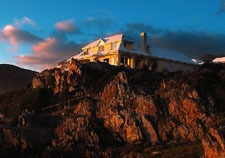 Dining here is limited to overnight guests of this small plush hotel, magically set on rugged cliffs high above the southern coast of the Western Cape. Guests can chose to dine in a spacious, glass-fronted sea-facing room from which, in season, you can see Right Whales splashing high above the surface; or, in a flower-strewn suite (some of which also overlook the water) or, weather-permitting, outdoors on a precipice atop the cliff. 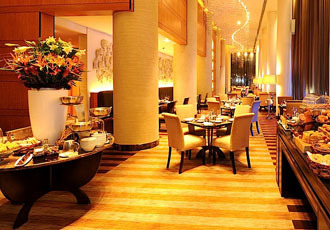 The overall theme here is the fusion of local fare with French cooking techniques and strong influences of Asian and Italian cuisines, especially spicing. 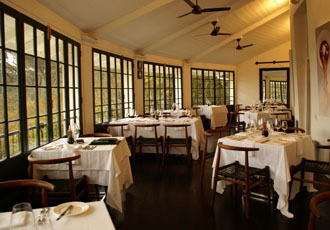 For example: a starter of fresh butter-sautéed Tiger Prawns had subtle hints of garlic and Thai basil; and moist, pan-fried Cape Town kingclip was accompanied by perfectly cooked risotto primavera rich with Parmesan cheese; and a thick grilled beef fillet topped with Blue cheese was served with a roasted tomato and pommes gratin flavored with truffle oil. Following the same theme, a dessert of chocolate and almond spring rolls with vanilla ice cream and fresh berries showed a happy mélange of French, Asian and Italian influences. Of note, the fare, whether from the sea or land, mated quite well with a ripe fruity 2009 De Meye Stellenbosch shiraz that was suggested by one of the friendly, highly professional servers. The all inclusive price for two guests including room, meals, local wine, tax and gratuity ranges from $600 to $1400 depending on the season and size and location of the room. Open daily for breakfast, lunch and dinner. After an amuse bouche of a cold foie gras wafer and a tiny squid ink brick, our dinner progressed to a small, smooth, deep red orb with intense beet flavor accompanied by cucumber granita mated with a very young chenin blanc – a pairing we found jarringly bitter. Next we were served a small portion of heady, curry-dusted dewy kingclip, accompanied by overly cumin-doused dal, kale and tomato confit— a dish that ran over a rather one-dimensional semillon. This was followed by a juicy loin of Karoo springbok served with wild grains, rainbow carrots and celeriac with a jammy 2010 Moreson pinotage (the best wine-food match of the evening). The repast concluded with some excellent local Gruyère cheese, its flavor enhanced by a very delicate South African port, and some gastronomic hocus pocus involving a puffy balloon-shaped coconut dessert that deflated with the addition of caramel sauce. The price of admission was $225 for two, including food, wine, tax and tip – a bargain and a half for those into this type of culinary adventure, especially when compared with other similarly themed establishments in the U.S. and France. Open Tuesday through Saturday for dinner only. 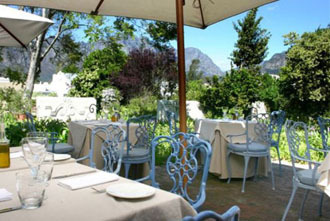 Set amidst the bucolically beautiful hillside vineyards of Jordan Winery, with distant views of False Bay and Table Mountain, this is a prime place to enjoy a leisurely, very reasonably priced, memorable lunch. From a daily changing menu of locally sourced items carefully selected by award-winning chef George Jardine, we chose creative starters that included a chilled Gorgonzola-infused cauliflower panna cotta and an Asian-spiced carpaccio of yellowfin tuna. For main courses we went with a steamed local Kabeljou fish accompanied by an aromatic bouillon of organic summer vegetables and herbs. A roasted line-caught white stumpnose (sea bream) was accompanied by roasted potatoes and creamed spinach served with a creamy, decadent aïoli-like sauce. Of course, we accompanied the fare with glasses of current vintages of Jordan chardonnay and cabernet sauvignon, and for dessert we delved into a gratin of fresh summer berries afloat in a strawberry soup, topped with a berry sorbet. The cost of lunch for two, not including wine, tax or tip was $65. Open for lunch Tuesday-Sunday, and dinner Thursday and Friday. 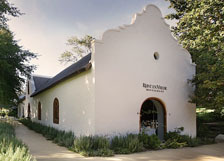 Meaning “rest and peace,” this restaurant housed in what was once a winery cellar, a few miles outside the center of Stellenbosch, is not your typical “little ole country eatery,” perennially placing in San Pellegrino’s list of top 100 restaurants in the world. Inside, tables are set with fine linens, Riedel stemware and dishware made by local master potter David Walters. 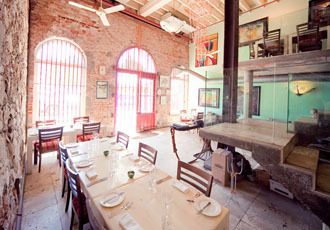 The tables surround an open kitchen where chef John Shuttleworth and his staff use classic and modern French techniques to cook primarily locally sourced ingredients. Overseen by the chef’s wife, Andrea, service is prompt, friendly and professional, with brief sensible discourses on the menu choice. From the four-course menu we started with a combination of duck confit and foie gras garnished with red radish and rhubarb, and the ubiquitous kingclip cleverly served with perfectly matched accompaniments of cauliflower, pancetta and a Gruyère beignet. For a second course we chose a meaty roasted quail and a dewy monkfish tail paired with Parma ham, porcini and baby leeks. Next we both chose the medium-rare loin of lamb, its flavor enhanced by pickled morels and almond purée and served with mint pearl barley. As to wine, we paired each selection with two vintages (1996 and 2009) of the Rust en Vred Estate Red Blend (cabernet sauvignon, shiraz and merlot). The 1996 showed a memorable bouquet and taste of blackberries, anise and vanilla and the 2009 had a fruit forward, plummy taste. Of note, the older wine mated particularly well with the lamb, while the younger showed a bit more fruit, marrying surprisingly well with the duck confit and kingclip. We concluded with a selection of South African cheeses and a rich lemon thyme panna cotta. Four course dinners cost $100 for two, not including wine, tax or tip, with wine very sensibly priced. Open Tuesday-Saturday for dinner. 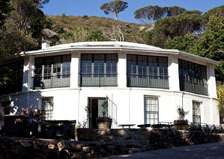 Originally a guardhouse built over 200 years ago by the Dutch East India Company, the Roundhouse offers sweeping views westward over historic Camps Bay. 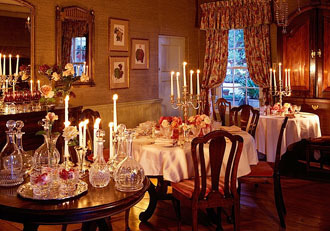 Inside, the décor is woodsy-chic, with fine china and silverware set on white linen-clothed tables set primarily in a long room with dark wood on one side and windows on the other, affording a view of the distant sunset. While a six-course fixed-price tasting menu, with optional wine pairing, is available, we went with a dinner consisting of four courses, with three to four choices for each course. To begin, we chose a very imaginative salad of supple globe artichoke leaves dressed with a nutty butter emulsion whipped with a garlic purée and almond juice, and a tender, slow-cooked beef tongue, enlivened by a dab of whole-grain mustard. For the next two courses we each chose anise-scented salmon trout poached in olive oil and tender, rosy fallow deer, its flavor enhanced by lingonberries and a marinade of rosemary and lavender. 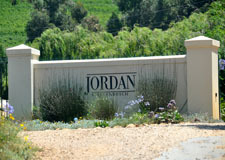 We accompanied the meal with two top-tier South African Bordeaux-like blends, a smooth 2006 Jordan Cobler’s Hill Red, similar in style to a Lynch-Bages, and a 2006 De Toren Z, with complex flavors of cassis and dried cherries. Both matched the fare quite well, with a slight edge to the Jordan, which paired perfectly with the salmon trout as well as the deer. A selection of rich South African cheeses and a refreshing passion fruit soufflé with toasted coconut sorbet provided an excellent ending. The four course dinner, not including wine (which is modestly priced), tax and tip cost a very reasonable $110 for two. Open for dinner Tuesday-Saturday, and for lunch Wednesday-Sunday (May 1-September 30). Diners here shouldn’t be put off by the no-frills environment of exposed brick walls, shiny, unadorned wooden tables set with simple white dishes, and straightback cushionless chairs. A welcome lack of piped-in music allows for quiet conversation. 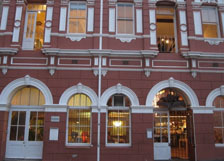 Taking its name from what many consider the prettiest and sweetest cabbage, this is “the” Cape Town spot for cutting-edge, eclectic fare. An interesting aside is that many locals, even those into food and wine, like our superb guide/driver during our trip, consider this place quite off-beat. Starters of grilled asparagus with mustard mayonnaise, pickled quail’s egg and salad of beetroot, orange and fennel with homemade labnah were au courrant but not write-home-about avant-garde. However, main courses of moist grilled hake on dried apricot and almond pilaf with a fruity Malay butter sauce and Karoo Lamb two ways— roast crumbed loin and braised shoulder with fondant potatoes and lamb thyme jus– were exceptional and not your everyday fare. And these were some of the less “out there” choices, which included spiced Kudu filet served rare, pickled lamb filet, and fennel dusted Warthog on braised neeps. For dessert go with the day’s specials, like cape malva pudding with vanilla crème Anglaise or macerated strawberries on hazelnut shortbread with milk chocolate ice cream. 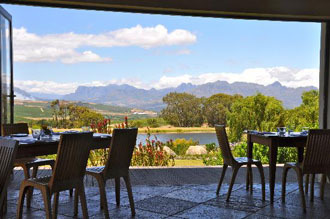 Dinner for two, including tax, tip and two glasses of wine each– from a list of over two dozen sensibly-priced South African choices– was $130. Open for dinner Monday-Saturday, and Lunch Monday-Friday. Also in Cape Town, two restaurants highly touted in guidebooks– Nobu, and Reuben's (located in the large and impersonal One & Only Hotel), were just that, large and impersonal, and not worthy of detailed mention. Suffice it to say that Nobu served creditable food, but unless you have a sushi addiction, why go all the way to South Africa to dine on Japanese fare? And Reuben’s, which offered all the charm of a breakfast, lunch and dinner spot in a large downtown hotel, served ho-hum fare at upscale prices. 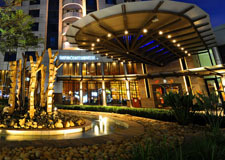 Of note, our hotel and dining arrangements were made flawlessly by Samantha Myburgh of Rhino Africa Tours.